Creating a work-life balance has been at the heart of our approach since we first founded the Villa Luna day-care centres. We are dedicated to providing a realistic solution tailored to families, especially for families with two working parents. Key factors of our service are the quality and flexibility of the childcare we offer. 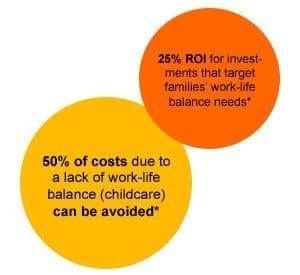 There are several good reasons for implementing family-oriented HR policies, including the growing shortage of specialised staff, increased competition for the remaining skilled employees and wanting to encourage woman in your company. 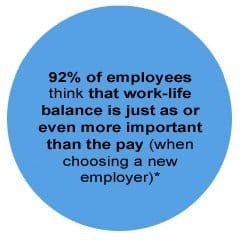 Villa Luna offers companies tailored and attractively priced solutions for achieving work-life balance for their staff. We use customise the collaboration to find just the right childcare model for the needs of your company – to ensure flexible childcare tailored to families. Find out more about our services for companies and types of collaboration. Sie haben Interesse an einer Kooperation oder Fragen zu einer denkbaren Zusammenarbeit? Hier finden Sie unsere Kontaktdaten. Wir freuen uns darauf, von Ihnen zu hören!